Hi all, this morning i got a “low coolant” warning on my 2017 q7. It had been out overnight in sub zero weather so I’m thinking the coolant may have compressed a bit bc as I drove just a few seconds the light went off. I didn’t get a chance to check the levels yet (I had a train to catch literally) but just wanted to see if anyone else has had this issue? Thanks! Thanks for letting me know! Fingers crossed! Check your level cold, in the morning. Check again after warmed up (but don't open the reservoir when hot). Assuming that it is really VERY low in the morning, I assume it won't get anywhere near to normal even when warmed up. If so, you'll need to add some or have the dealer add some. Don't take any chance, take it to the dealer and have them check it out. 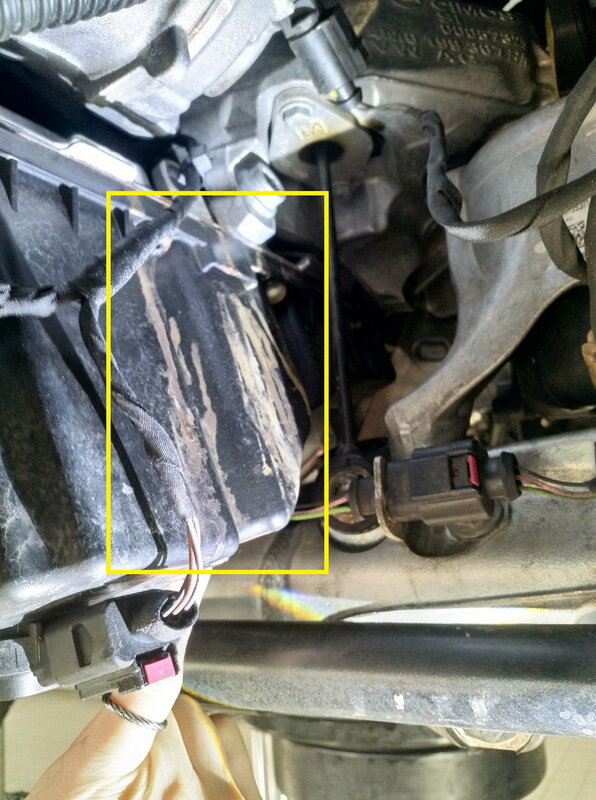 "Coolant loss usually indicates there is a leak. Immediately drive your vehicle to an authorized Audi dealer or authorized Audi Service Facility"
Which is what I did, and I am glad I did. "The warning "Turn off engine and check coolant level" was on twice last Thursday morning. I checked the coolant tank and the level was just below the MIN line, but I did not see any leaks below the area. Took the car to the dealer on Friday morning, a few hours later they called me and told me the car is leaking coolant in water pump. They had to order parts and car won't be ready until early next week. My Q7 is 2017 P+ (January 2016 build), it now has 33K miles on it. More and more issues started popping up since last year, now I started worrying about the reliability of this car, especially after the warranty runs out. " Last edited by discogone; 02-03-2019 at 08:15 PM. Thank you. I was low. Added more and seem to be good now. I had similar symptoms and my thermostat was leaking. I saw two other people here with similar issue. I would definitely have it checked out. Well, I didn't get the coolant level low warning but "Check engine" light instead. At the same time, the cruise control system was also malfunction. 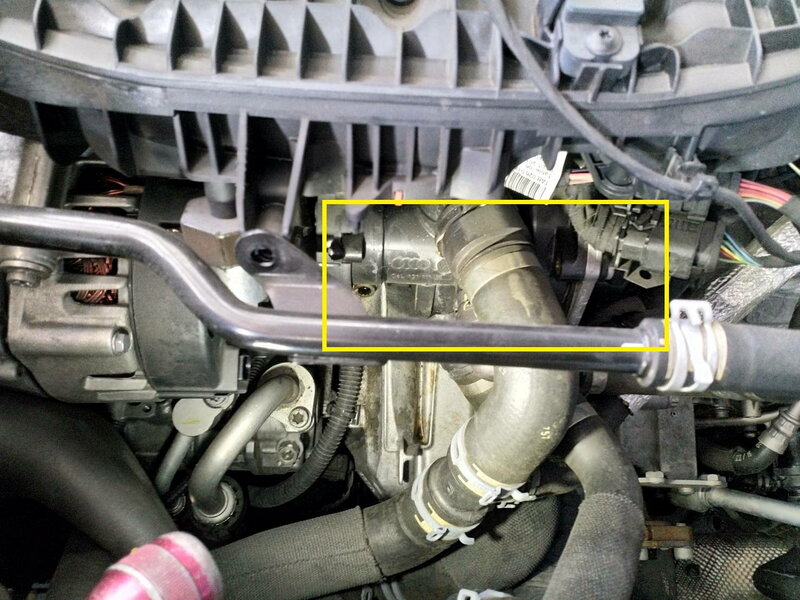 I used OBD11 to scan the system and got the coolant issue in return. In order not to run out of coolant, I prepare a bottle of water for just in cases on my way home from mountains. Fortunately, I got it replaced under warranty. Furthermore, if you can see the water stain while applying oil change service. You should be aware of the problem in this early sign. Last edited by markchen; 02-11-2019 at 09:16 PM. Quick Reply: Low coolant level?